What gives rise to those precious moments of creative insight? What helps us convert such moments into tangible works that bring meaning to our own lives while enriching the lives of others? What’s behind our longing to create and how might we embrace creativity as a way of life? Through a skillful blend of masterful storytelling and probing contemplations, The Shoreline of Wonder takes us on an exploratory journey to discover how creativity permeates every aspect of our lives, and shows us how we can bring it to the forefront of our experience. Drawing upon his experiences as a rock climber, designer, Buddhist, husband, and father, Austin Hill Shaw insightfully explores the dynamic universe in which we live and the uniquely human capacity for authentic creativity. 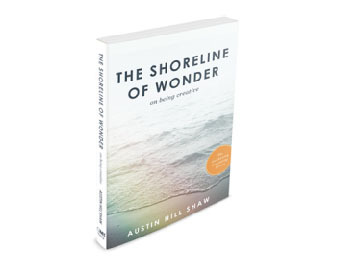 With inspiring examples from scientist Sir Isaac Newton, artists Christo and Jeanne-Claude, and religious studies scholar Huston Smith, The Shoreline of Wonder shows us how to live a fully realized, creative life—whoever we are and whatever we choose to do—and to embrace the necessary challenges of the path as gifts that immeasurably enrich us. My name is Vivian Nguyen, am the owner of nails by Vivian. At the time I needed an architect I looked around for different estimates, and to make sure I could get a good feel for each ones character. Many architects that I contacted before Austin did not seem invested or professional. They would take long periods of time to contact me back and would add questionable charges. Then I found Austin on yelp, he had great reviews so I contacted him, he was very prompt on a response. He immediately came to my salon gave me a very straight forward and honest estimate and has been great to get the job done on an agreed deadline. He is very professional and I’m great full I found such a stand up honest person who truly invests himself with his clients. If you come across him when you need an architect look no more, he is your guy. Austin's design and efficient use of space in converting what was once a garage into the Village Chiropractic and Wellness Center in Montclair (Oakland) is commensurate to a Salvador Dali creation, i.e., highly imaginative, emotionally rewarding, the closer you look the more you discover. Austin’s work, as guided for his love of client and project, is clearly manifested in the offices of Dr. Matt Green, DC (worthy of a look). Thank you for creating such a peaceful, inspiring, caring place with such exceptionally positive energy. The attention to detail in the yoga space, rooms, and gardens has made Prana del Mar a true "oasis" of a retreat in this world of options. I’ll look forward to returning. I worked with Austin and his team to finally bring to light a renovation at my home in Lafayette. The whole team (Austin, Donatella and Luia) were extremely personable, talented and really took the time to understand me and what I wanted to accomplish with the remodel. They worked fast and were almost below the low end of what they had quoted for the job! I would recommend them in a heartbeat, they where such a pleasure to work with and everything went incredibly smoothly. Austin and Luis are amazing!! They helped me with drawings for work that was already done without permits. Getting permits after the fact is not fun and very stressful. They got my illegal garage conversion issues with the City of San Pablo back on track, permits issued, and at a minimal cost!! I highly recommend them and will use them again without hesitation, great communication, fast response, professional, pleasant. Thank you guys for all your knowledge and assistance!! "Austin and his team are AMAZING. Austin has an incredible method of getting to the root of your wants and needs and helps in bringing out the most soulful designs based on your innermost unconscious desires. And Donatella and Luis did an amazing job translating our vision into extraordinarily functional designs. We did a kitchen remodel with them. We have a historic Spanish style storybook home, with lots of intricate details and aesthetic touches. And my wife is a chef, and we have kids, and I’m an artist/photographer, so our individual needs were causing us to argue over our differing visions. But Austin was able to tap into the deeper desires and Donatella and Luis come up with several iterations of designs that incorporated our individual fantasies to create a cohesive, functional, and beautiful design to fit the existing architecture. Even if you don’t end up working with Austin, just to meet and talk with him is an inspiration." [Austin's] design, impeccable layout, and mechanicals made the project seamless from start to finish. Thank you for creating such a peaceful, inspiring, caring place with such exceptionally positive energy. The attention to detail in the yoga space, rooms, and gardens has made Prana del Mar a true "oasis" of a retreat in this world of options. I'll look forward to returning. ...my first meeting with Austin was magical. We spent over two hours talking about my business and my personal goals related to the space. I expected to sketch some walls and treatment tables. Instead, I wound up having one of the most profound conversations I have had in a long time." As a contractor I have worked with many architects before but I have never met anyone so committed to work in such a deep and personal way with the client, contractor and the vision as whole." "I expected to sketch some walls and treatment tables. Instead, I wound up having one of the most profound conversations I have had in a long time." Austin has a depth of personal practice that you can feel when working with him. He really listened to my needs and concerns. 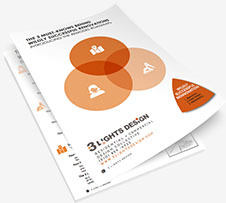 "Part of what Austin does is help you evaluate if the space and design are in alignment with your deepest values. This was an unexpected, but incredibly valuable asset to designing a space." When my part of my back deck was destroyed when a tree fell on it, I was really upset. I didn't know at the time that the loss of my favorite part of my house could lead to an opportunity for something better, something different, and something more affordable than I'd originally thought. Getting permits after the fact is not fun and very stressful. They got my illegal garage conversion issues with the City of San Pablo back on track, permits issued, and at a minimal cost!! Donatella and Luis did an amazing job translating our vision into extraordinarily functional designs. I felt very taken care of throughout the entire process. “We get comments everyday from guests who notice and appreciate the unique touches and attention to detail that he infused into our resort's design. Erik Singer, Owner and Developer, Prana Del Mar Health and Wellness Center.